Qinghai: Chindu Xian. Oba village; along the Tongtian He (Tongtian River; upper Jinsha Jiang). Steep slopes, cliffs and ravines. Vegetation mostly scattered shrubs of Elsholtzia fruticosa, Juniperus (Sabina), Caragana and Hedysarum multijugum. 32°55'32"N, 97°15'58"E; 3500 m.
Dry slopes and cliffs. Coarse herbs. 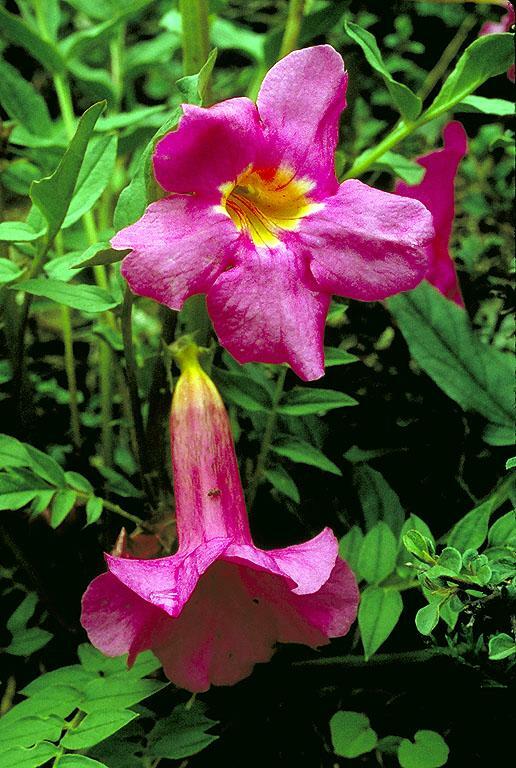 Flowers stems to 1 m tall; corolla purplish pink to purplish red, yellow in throat at anthesis, becoming darker in age, yellowish at base of corolla tube both inside and out.